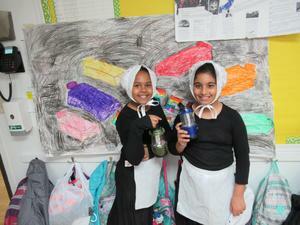 Our annual Wax Museum was a great success! 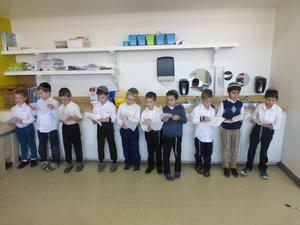 Send Mishloach Manos to TDSP staff and families and help support Kindertots at the same time! 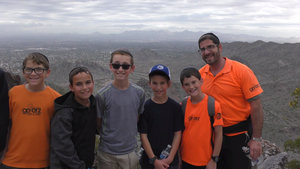 Torah Day School of Phoenix middle school teacher Rabbi Ariel Shoshan was a featured speaker at the National School Choice rally. Click to hear his inspiring words! 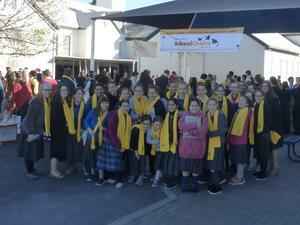 The Middle School Girls attended a rally for National School at Heritage Academy in Mesa. Last Motzaei Shabbos, middle-school girls and their mothers (and grandmothers) enjoyed an evening together, with good food and entertainment, and a special touch of love and appreciation. Our 1st grade boys started learning Chumash last week! What an exciting event! Middle school girls had a Chanukah chagiga with a delicious buffet of food and the privilege to hear words of inspiration from Rabbi Zimmerman on the topic of the parsha and Zos Chanukah. 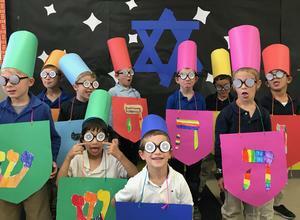 Check out the amazing creativity of our various classes for our annual Chanukah Dress-up Contest! 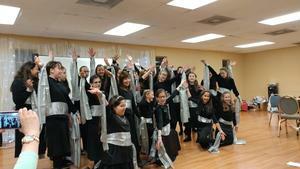 Check out some amazing pictures from Chanukah Week at TDSP! 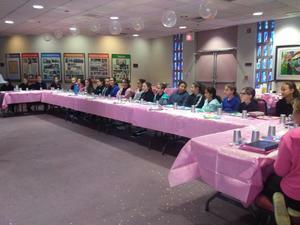 On Sunday, Dec. 2, SMILE celebrated the completion of its first session of the year! Click on the title above to see the video!